The High Level Bridge now has 60,000 LED bulbs thanks to the Light the Bridge campaign! The Bridge will now be lit every night, and this state-of-the-art programmable system is available for requests. Light the Bridge celebrates and builds community spirit in Edmonton. The bridge lights are a beautifying element to our cityscape, a symbol of pride for locals, and part of our Edmonton story. 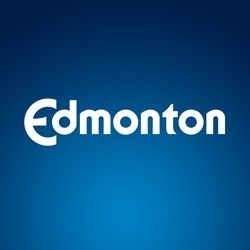 They can also be used to help represent Edmonton and share our story with national and international audiences. The City of Edmonton proactively fills the calendar to help recognize major events and cultural celebrations. Our aim is to reflect the diversity of people who call Edmonton home and our connection to the global community. Citizens are invited to make requests based on the criteria outlined below. We strive to fulfill all eligible requests, but any confirmed request may be modified if a major international, national or local situation occurs. If there is not a special request for a date, the bridge will be lit in a variety of colours. This calendar is subject to change without notice. Schedule dates found in this dataset start from Jan 1, 2016 and show scheduled dates 14 days in advance. This dataset contains the current and historic record of days/nights when the EPark Event Parking rates were scheduled and any corresponding messaging that may accompany these instances.